Tim has been the Pastor here at Newtown Evangelical Church since 2004. 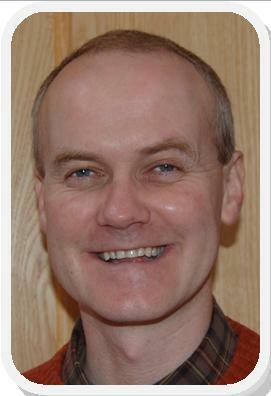 Prior to arriving in Mid Wales, Tim was pastor of Millbridge Evangelical Church in Minehead (1994-2003) and also spent time as Assistant Pastor at East London Tabernacle. Before feeling a call to Christian ministry and attending Bible college, Tim was a maths teacher. Tim had the privilege of being brought up by Christian parents. As a child he assumed that made him a Christian, but was challenged through the teaching of a Christian youth group that Christianity was about a personal relationship with God, and that he needed to personally trust Jesus to be his Saviour and to commit himself to following Jesus as Lord. By God’s grace he was enabled to do this. Tim is married to his wife Wendy, and together they have 3 sons; Ben, Sam and Joel. In his spare time he enjoys keeping up to date with a variety of sports – particularly cricket, reading books and going for walks. Tim does the lion’s share of the preaching ministry Sunday by Sunday. He would like it to be known that there was a time when he had a full head of hair! Service: Sunday Morning (189), Sunday Evening (107), Midweek Meeting (10), Special event (6), Good Friday (2), Candlelit Carol Service (1). 1 Peter 1:3-5 (Part of the Easter series). Preached by Tim Gill on April 21, 2019 (Sunday Evening).